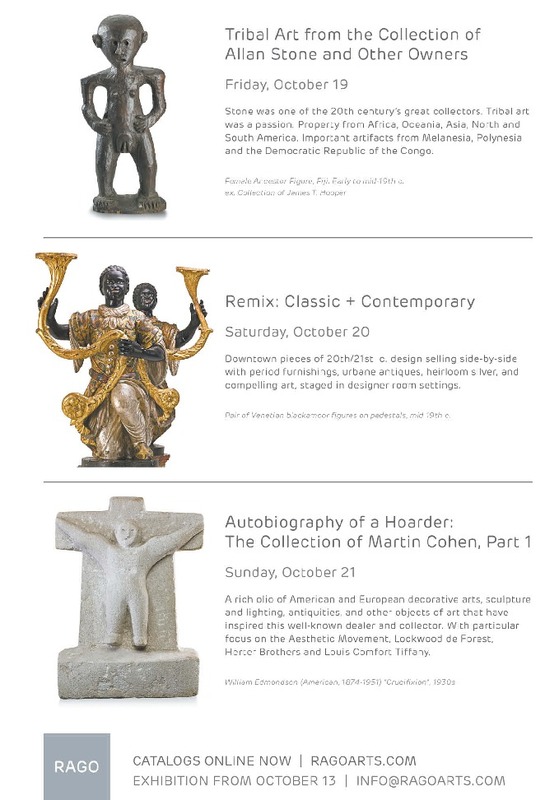 Stone was one of the 20th century’s great collectors. Tribal art was a passion. Property from Africa, Oceania, Asia, North and South America. Important artifacts from Melanesia, Polynesia and the Democratic Republic of the Congo. Downtown pieces of 20th/21st c. design selling side-by-side with period furnishings, urbane antiques, heirloom silver, and compelling art, staged in designer room settings. 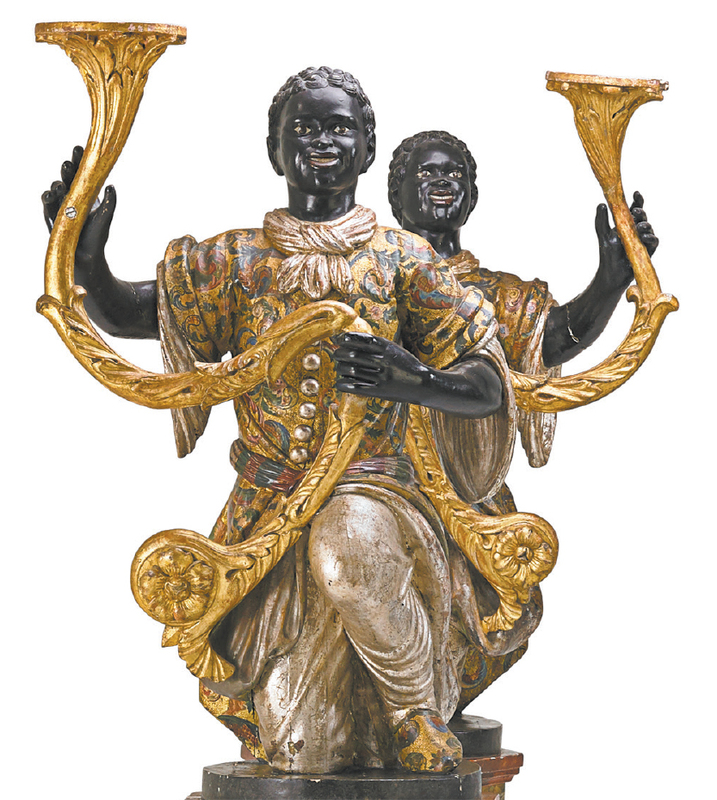 Pair of Venetian blackamoor figures on pedestals, mid 19th c.
A rich folio of American and European decorative arts, sculpture and lighting, antiquities, and other objects of art that have inspired this well-known dealer and collector. With particular focus on the Aesthetic Movement, Lockwood de Forest, Herter Brothers and Louis Comfort Tiffany.